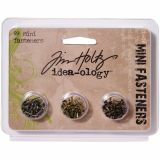 Idea-Ology Screw-Top Mini Fasteners .25" 99/Pkg - ADVANTUS-Tim Holtz Idea-Ology Screw-Top Mini Fasteners. 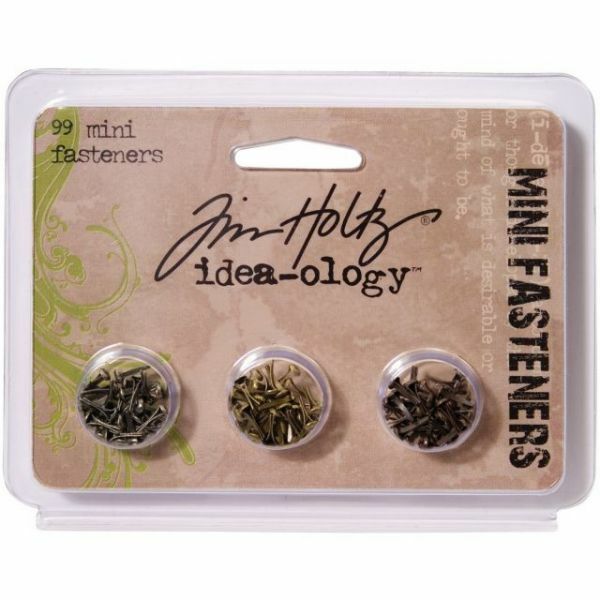 These phillips and straight screw top 2mm fasteners are perfect for adding other Tim Holtz Idea-Ology components to scrapbook layouts, greeting cards and paper craft projects. This package contains ninety-nine: thirty-three in each finish: antique nickel, antique brass and antique gold. Imported.